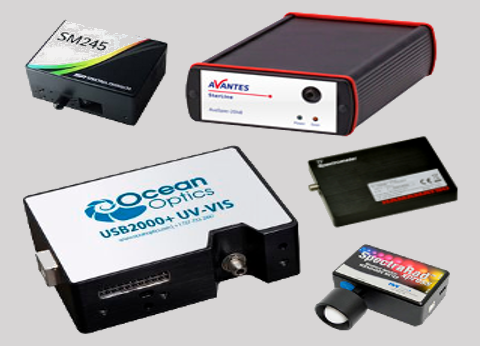 ILT offers spectrometer calibrations over the range of 200 - 1700 nm. (Calibration to 2500 nm is possible and requires engineering review prior to quoting). If the spectrometer software provided allows ILT to import the new calibration files, ILT will use the customer provided software to update the calibration file in use. (A computer may need to be provided by the customer). In cases where the software is not accessible, ILT will provide all of the data needed to allow the customer to correct the readings using excel, and/or to adjust the internal calibration factor after return from calibration at ILT. Each spectrometer calibration is unique to the exact configuration used during calibration. Any changes to optics including fibers, input optics, integrating spheres, etc., will impact the accuracy of the reading. ILT recommends every unique configuration should have its own calibration. ILT offers spectral calibration for total flux / power (Watts/nm), Irradiance (W/m2/nm), and radiance (W/cm2/sr/nm). Photometric calculations such as lumens, lux and cd/m2 are derived from the irradiance calibration and the software's applied photometric calculations. CCT, CRI, DUV and all other software calculations require additional software testing and must be quoted separately from calibration. 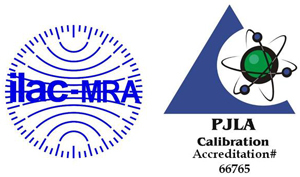 Below is a list of commonly calibrated meters. Use the drop down to jump to the manufacturer/brand of your meter. If you do not see your meter listed, or would like to speak with one of our specialists, you can email us at ilservice@intl-lighttech.com, or call us at 978-818-6180 x118. Use the button above to request an RMA. If you need a quote prior to servicing please select "Yes" for the question "Quote needed prior to servicing."